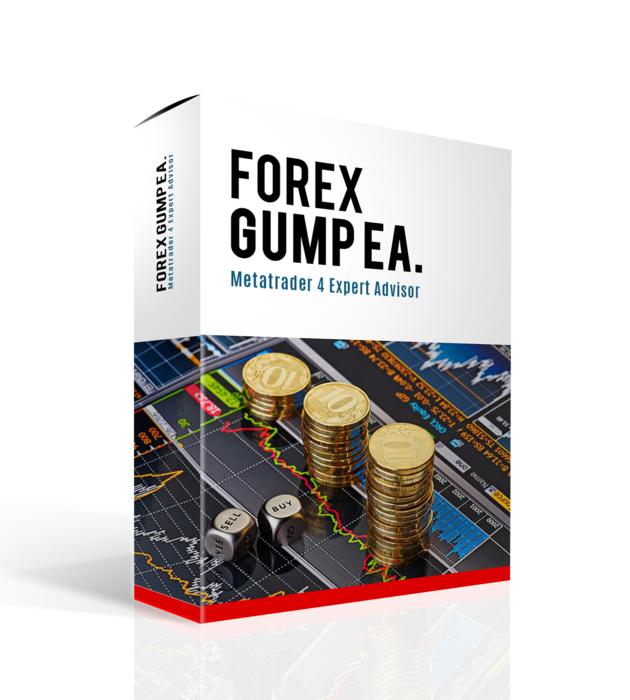 Forex Gump EA is an automated Forex advisor with a conflicting reputation. It was created in 2017. It was during this period that the first mentions of the robot with automatic execution of transactions were published. Of course, this trading system is paid. And the developer has traditionally offered two versions for the price of 199 and 399 euros. Inconsistent reputation is based on the fact that the adviser works on a minute timeframe. Accordingly, this is a classic scalper. But during installation we see that the chart does not use technical indicators or other analysis tools. The developers also did not bother to write on the official site. The list of currency pairs for trading expanded to 9 units. This is almost all volatile pairs with the euro and the US dollar. Such tactics are often applicable to trading systems that are not based on the prescribed algorithms of advisors. Probably, transactions are opened at random on simple indicators or patterns. 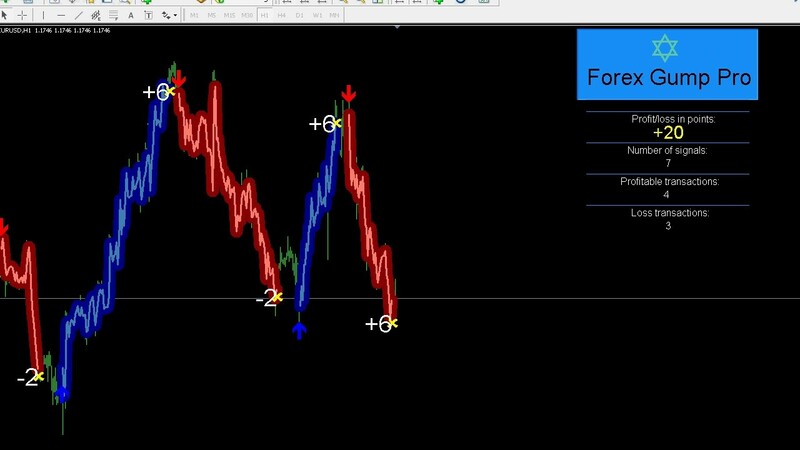 This EA is installed in the Metatrader 4 trading terminal. In the downloaded archive, the main file and the settings file are immediately available. You can change them manually, but the developers do not recommend doing this under the pretext of increasing risks. Allegedly, a team of programmers and traders took into account all the possible factors affecting the markets. Therefore, it is not necessary to change the standard parameters. But what about items such as Take Profit and Stop Loss? Restrictions on choosing a broker – no. An automatic adviser can rightfully be called a universal one, since it eliminates multiple restrictions. Another interesting fact about this robot is the team of its creators, which is headed by well-known Ukrainian trader and developer Andrew Kozak. There is some information about this specialist on the web. For example, Andre additionally deals with the publication of trading systems on the MQL5 portal. Until now, it is unclear for what purpose the name for the robot “Gump” was chosen. After all, it means a certain curse. It is noteworthy that a number of automatic robots, which are considered universal, have already been freely available. But they are potentially based on a number of indicators, among them BSS Scalping EA. The developer Andrew Kozak claims that the high-profitable indicator is also included in the algorithms of this robot, but does not disclose its algorithms. 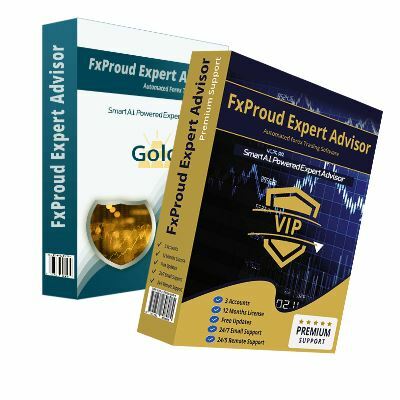 As we assumed above, Forex Gump EA is a classic scalper, which quite randomly opens trades, trying to get at least a minimum profit of a few points or pips from each order. The minimum deposit is too large if you want to trade not on a cent, but on a dollar account. Unfortunately, for many experienced traders, this amount is not available. It is too big to risk it with a new trading bot. There is no clear understanding of the principles of operation of the robot algorithm. The developer has not implemented any of their own development, trying to make money on the simplest trading systems. 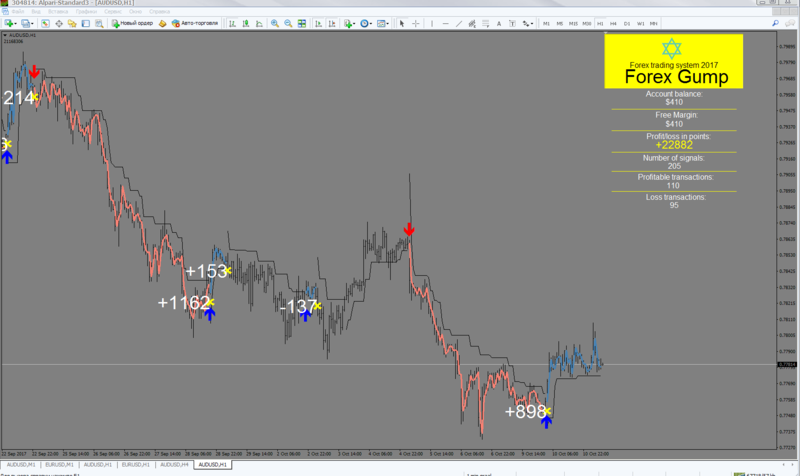 Scalping can be unprofitable without the use of technical tools. There are no auction results that would be published on independent portals. 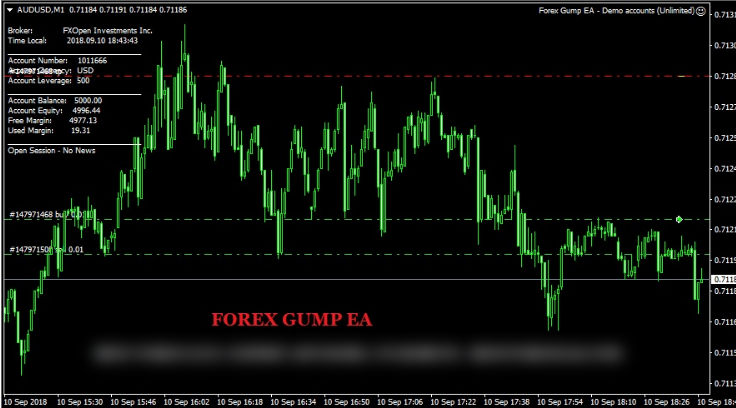 The only indicators of trading Forex Gump EA are screenshots published on the official website of developers. Does an advisor have any advantages? This robot is standard and no outstanding adviser with automatic execution. This is a rational option for traders who have a certain budget but don`t wish to delve into the principles of trading themselves. But in this case, there is always an alternative to choose. Keep in mind that to start using it you must have an impressive amount of $ 4,000 or $ 40 in a cent account. Probably, the developer added such requirements in order to avoid draining the deposit at the initial stage of the advisor’s work. 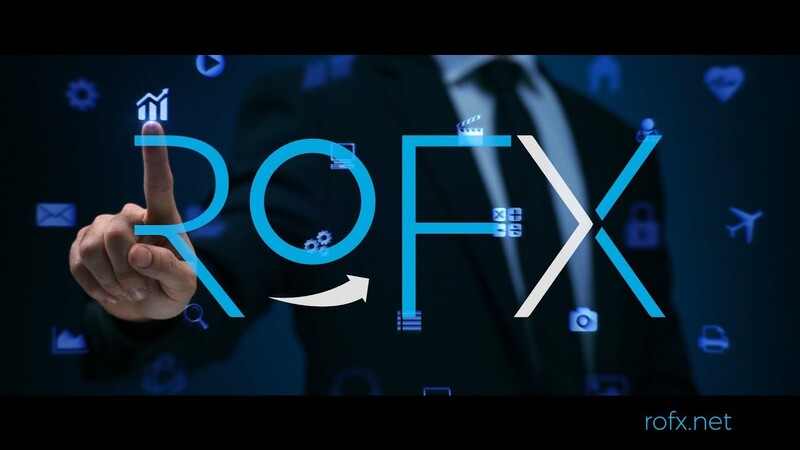 After all, scalping, which is inherent here, involves the opening of 3-4 transactions on different currency pairs per day. 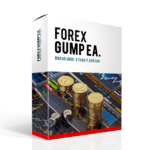 We recommend using Forex Gump EA on multiple assets. And always follow the news (economic calendar), in time to have time to turn off the robot when the onset of important fundamental factors. Indeed, the absence of indicators is an indicator that the program is not able to fully analyze the market.